Is your water heater leaking? When this happens, most of the time, you will need to have it replaced. Water heaters have an average lifespan of around eight years, and they require repair to function properly. Because water heaters are made of steel, they will eventually leak due to the inevitable internal decay process that takes place. To prevent decay inside and around the water Get it Repairedheater, an anode rod is installed inside for protection, and the rod attracts rust and decay as they accumulate over time. Once the anode rod is completely decayed, the tank is no longer protected. Rusting continues, which results in leaking. Without this critical part installed inside the tank, any water heater will decay and leak within one year of use. That is why it’s crucial to have your water heater inspected annually. Regular maintenance of your water heater can prevent future issues. Occasionally, your water heater can leak from the over flow valve. This occurs due to several factors. 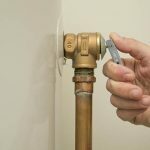 When you notice that water is leaking from the over flow valve on your water heater, it indicates that your over flow valve, or Temperature and Pressure Release Valve (T&P Valve), is no longer working properly. Your water heater controller is malfunctioning, and it heats the water past its normal operating temperature. High heat and pressure result, which sets off the valve. Too much pressure enters your home because the pressure regulator in your house is broken. 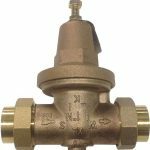 The T&P valve not only controls your water heater, but it’s the also the primary source for all pressure in your plumbing system. The lever on the T&P valve is not completely closed because calcium and magnesium deposits can build up on it over time, which causes the lever to raise slightly. 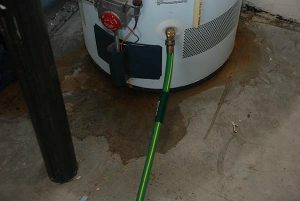 Water heater failure occurs over time and results in leaking. If the water heater is leaking, it usually must be replaced. Sometimes your water heater’s pilot light can go out or won’t stay lit for more than a few hours. When that happens, it means that the thermocouple no longer works and must be replaced. The thermocouple creates a small amount of electricity measured in millivolts, and it sends the electricity to the gas control unit. When there is an electric charge, the gas control valve opens and ignites the main burner, which heats the water in your water heater. 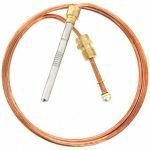 The thermocouple has two main purposes for your water heater. In addition to keeping the pilot light lit, it also activates the gas control valve when there is a flame present and safely activates the main burner. Rancho Penasquitos 92129, Carmel Valley 92130, Del Mar 92014 , Mira Mesa 92126, Mission Valley 92108, Poway 92064, Rancho Bernardo 92128, 4S Ranch, Santee 92071, Scripps Ranch 92131, Tierrasanta 92124.